Asteroid ‘951 Gaspra’ captured by the Galileo spacecraft. Asteroids, sometimes called planetoids are rocky fragments that float in space, many since the creation of our solar system 4.6 billion years ago. These left over pieces of rubble are usually found in orbit around the Sun between Mars and Jupiter (in an area called the asteroid belt) and they can range in size from bodies that have a diameter of around 1 km to bodies that are nearly 1,000 km in diameter. There are literally millions of asteroids out there with thousands more being discovered all the time. Due to the large number of asteroids in existence there are ways to catalogue and name each type of asteroid which we will go into details later on. Let’s find out more about asteroids. Asteroids can be observed in great numbers in the Asteroid Belt. This is an area that is located between Mars and Jupiter. There are thought to be over a million asteroids that are larger than 1 km in this area and millions more smaller asteroids. Trojan asteroids are large asteroids that share an orbit with a planet or a moon. 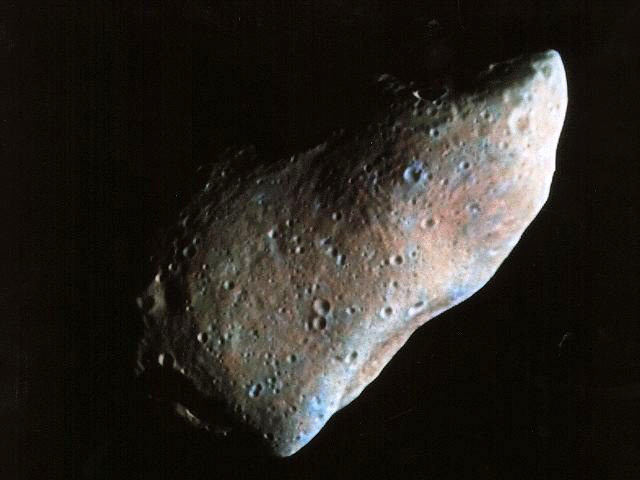 The largest number of these types of asteroids is known as the Jupiter Trojans. When an asteroid is first discovered, it is then observed for several months/years so that its orbit can be calculated. It is then given a number and a name sometimes after the discoverer of the asteroid or in one case after the discoverers cat! Asteroids are the only objects in space that can be formally named by amateur astrologers. Near Earth asteroids (NEA’s) are asteroids that have close orbits to the Earth. There are thought to be just over 7,000 of these types of asteroids with approximately 750 of them having a diameter over 1 km. Asteroids can be made from many different materials, so scientists created a method of describing each type of asteroid. The main types of asteroids are known as C-types, S-types, M-types and V-types. C-type asteroids are the most common spanning approximately 75% of all asteroids and they are made from clay and silicate rocks. They are very dark in colour and are some of the most ancient objects in our solar system today. S-type asteroids are made from silicate and nickel-iron. M-Type asteroids are metallic and made from mostly nickel-iron. V-type asteroids are believed to have originated from the Vesta asteroid and are basaltic in make up. Asteroids as well as planets have been known to have moons. The asteroid 243 Ida has one known moon called dactyl which was first discovered by the Galileo spacecraft in 1993. No asteroid has ever been shown to have an atmosphere. There is a popular theory that a large asteroid impact with the Earth many millions are years ago caused the extinction of dinosaurs on Earth. The Chicxulub crate is thought to be 65 million years old so it is possible that a large asteroid hit the Earth and made this crater. The impact would have been so severe that it would have started the climate change process that ultimately killed the dinosaur species.